Comparing myself to these pictures, I think I'm ~15%. I weigh 187lbs. As peolpe get leaner, small BF changes = enormous visual changes. When peoiple are fatter, big BF changes = small visual changes. I have been doing the visual guessing method for years now...In any case looks like I'm somewhere between 15-20%. Whoa, what happened to the estimate bodyfat % thread??? Alright not too bad of results. Original pics are 170 lbs on May 15th. 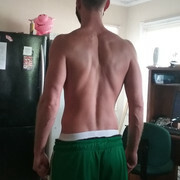 Today's pics are 150 lbs on July 8th. I ran Extreme Rapid fat loss for 4 days at the beginning. Then I ate at maintenance for about two weeks. The rest of the time was a fairly mIld to nonexistent deficit based on my resting metabolism. But with quite bit of activity to create a decent sized daily deficit. I'd walk most mornings, lift 3x per week, yoga 4 times a week, and my job is relatively active with lifting, cleaning, walking, etc. I think I'm ready to run a long slow bulk for the next several months. Any guesses on bodyfat%? I would guess right around 10% give or take 1%. Really? 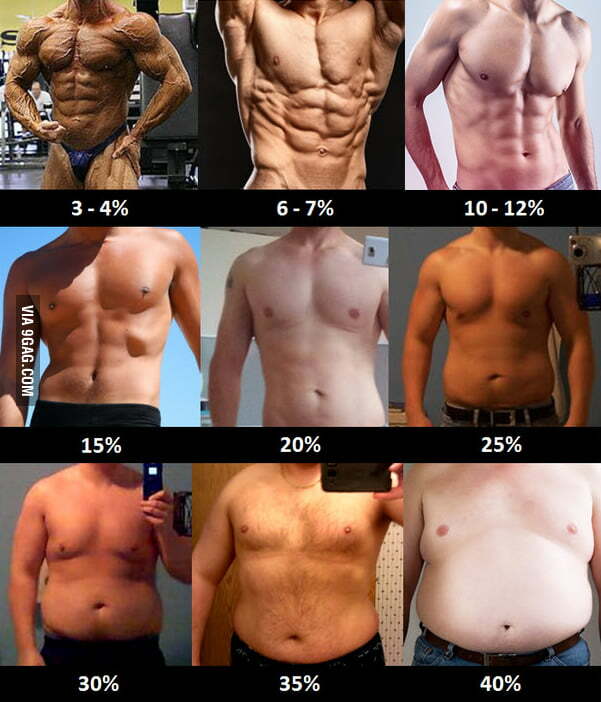 I was thinking more like 13-14% due to the lower ab fat and lower back fat. I dont feel much different than normal. I'd think 10% I'd feel a lot weaker, sluggish, etc.. I have no clue what you're talking about. And im under 15%, pic is a little blurry. I have no idea why people ask other people to give subjective input then proceed to disregard that "actually I think I am..."